2017 Kennedy Center Honoree LL Cool J attends the 40th Annual Kennedy Center Honors at The Kennedy Center Hall of States. WASHINGTON, D.C. -- He's one of the greatest rappers ever to some, while for others he's a TV star. 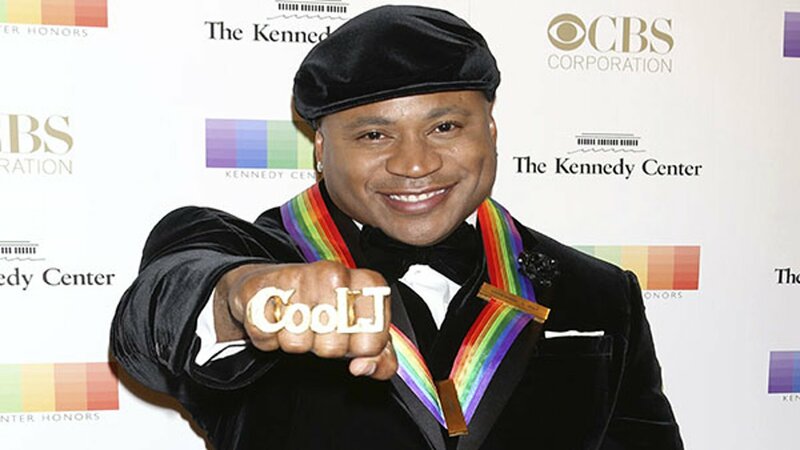 But either way, LL Cool J is now a member of the esteemed group of Kennedy Center honorees and fans are happy about it. LL, born James Todd Smith, became the first hip-hop artist feted with the prestigious honor. The rapper tweeted a thank you to fans. "I want to personally thank every single one of you !! You bought the songs you attended the concerts," he wrote in a tweet. "You called the radio stations!! "You" inspired me!!! You've been with me the whole time. I love you #HIPHOP!! "WE" MADE HISTORY!!! #KCHonors"
Fans reciprocated the love, sharing their excitement about the honor. There was a special appreciation for the tribute performance in honor of LL, which included such hip-hop stars as Busta Rhymes, DMC, MC Lyte and Black Thought. The rapper was part of a group that included American dancer and choreographer Carmen de Lavallade; singer/songwriter Gloria Estefan; television writer and producer Norman Lear; and singer/songwriter Lionel Richie, who were all honored at the 40th annual event. LL talked to CBS News about being selected. "When you end up at the Kennedy Center, you realize that, you know what, man that was really an against-all-odds story," he said. "And you realize how lucky and blessed you are."